According to a survey conducted by KPMG, 79 percent of responding organizations reported a successful ICD-10 transition since the October 1 switch. 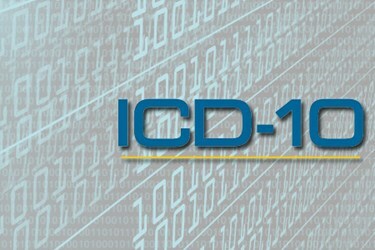 Seventy-nine percent of the nearly 300 healthcare organizations responding to a KPMG survey reported a successful transition to the new ICD-10 coding system since the switch was implemented on October 1. EHR Intelligence reports that, despite mixed feelings about the transition, 51 percent of respondents said they encountered some technical issues, but the transition overall has been successful. Twenty-eight percent said the transition has been smooth and 11 percent said the transition has been a failure. iHealth Beat explains the most common challenges cited include clinical documentation and physician education, IT fixes, lower revenue from coding delays, and rejected medical claims. “Organizations are beginning to see dips in cash flow due to payers delaying the processing of ICD-10 claims while they ensure their ability to appropriately adjudicate these claims, while others are seeing an increase in claim denials over pre-ICD-10 levels” said Craig Greenberg, KPMG director. Many organizations (42 percent) felt the challenges they encountered were simply part of ICD-10. Eleven percent said they did not expect to encounter such challenges during the transition.